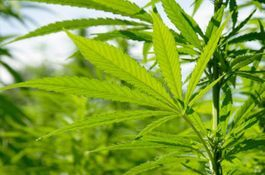 HEMP (origin: China) – Hemp stalks are harvested by hand and the leaves of the plant are left in the field to replenish the soil. The stalk is then soaked in water to remove the bark from the woody core. The bark is submerged in pressure cookers of water and 1.5% sodium hydroxide (aka caustic soda) to remove the cellulose fibers of the bark. All water used in the process is purified to the highest standards and reused, creating a “closed loop” system. 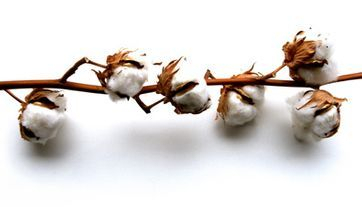 ORGANIC COTTON (origin: China, India, Turkey) - is grown without the use of toxic chemical fertilizers, pesticides, or herbicides, and is from original plants, meaning they are not genetically modified. Only natural whitening agents or dyes are used in the processing of the plants to fiber, including hydrogen peroxide and fiber-reactive dyes. Polyester textile recycling has been developed using the clear plastic water bottles, or PET as the raw material, a source of plastic that would otherwise go into landfill. The most common form of textiles made using recycled polyester is fleece, however it can also be blended with other fibers, such as hemp, recycled cotton or organic cotton, to create a durable, sustainable and extremely environmentally fabric. Our supplier collects manufacturing overruns, scraps from cutting, rejected dye lots, and fabrics from different mills and sewing factories. 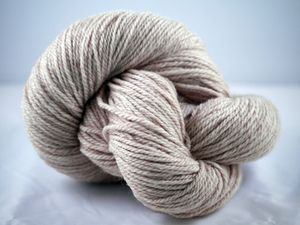 These post production materials are sorted, shredded, then blended with new natural fibers or with recycled polyester from plastic bottles before finally being re-spun into colorful yarns for knitting and weaving. In doing so, we utilize beautiful fabrics otherwise destined for landfill, and turn them into comfortably, fashionable and eco-friendly clothing for you. Soy fiber is made from the waste product of an abundant resource. After oil is extracted from soybeans, a soy “cake ” is left behind. Protein is collected from the cake through distillation and to be refined and converted into a liquid form by adding non-toxic auxiliary agent and enzyme. 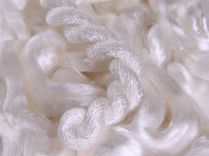 Wool is a natural, renewable and biodegradable protein fiber. It is strong yet soft, with temperature-regulating properties which makes it an excellent natural insulator in different environments. Our wool fibers are sourced from shorn sheep in Australia and China. Products made with wool are naturally breathable, wrinkle-resistant, and retain shape extremely well. 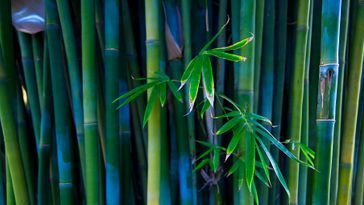 Bamboo is another highly sustainable crop as it does not claim farming land, grows very fast and needs minimal care. It is a much better CO2 extractor and oxygen emitter than trees, and all bamboo products are completely biodegradable and recyclable. Our bamboo fabrics are made with both bamboo fibers and bamboo pulp. They are soft and silky to the touch, drape well, and possess properties of excellent moisture absorption and permeability. The raw material bamboo is certified organic. Our bamboo yarn is certified by Oeko-Tex Standard 100 which is safe even for baby products. In addition, our fabrics meet international Restricted Substance Limits standards. While bamboo fabrics have become increasingly popular, bamboo pulp-made fabric (also known as bamboo viscose) has been facing controversy with questions raised about its production methods, which are similar to wood pulp rayon’s. Concerns have been raised about the safety of the chemicals used in bamboo viscose making and the pollution that may result from their use. Our fabric suppliers produce fabrics in an ecologically responsible manner with minimal environmental impact. There have been improvements in extraction and renewal treatments for wastewater, including an advanced floating air treatment system that has been installed in our supplier's factories that removes up to 99% of the suspended solids, reclaiming the treated water. 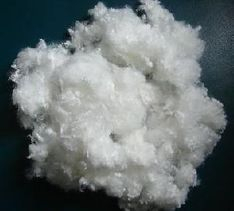 Lyocell is a fiber made from wood pulp cellulose. The forests where the wood pulp originaties are managed based on sustainable practices, and timber is harvested under strict guidelines and supervision, with replanting done for each tree that is cut down. Next, the fiber processing takes place in a nearly closed-loop system that is designed to recover more than 99.6% of the solvent. Water is reclaimed and reused. Its properties are similar to those of rayon: strong yet soft, wrinkle resistant, absorbent and drapes well.